A monument marks the site of Maplestead School, which opened in August 1900, in a building on the southwest quarter of 24-8-3 west of the Principal Meridian, in the Rural Municipality of Grey. Known originally as Elma School, it was renamed in December 1918 to avoid confusion with Elma School No. 1286. 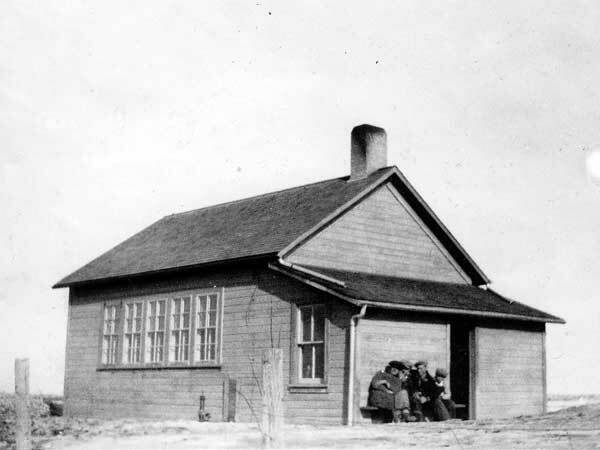 The original schoolhouse was replaced with a new structure in 1951 and the former building was moved to Elm Creek where it was for a time as the Legion Hall before being demolished in 1982. The new school featured indoor toilets and a full basement with a play area. It closed permanently in 1967, remaining students went to Elm Creek Consolidated School No. 812, and the school district was formally dissolved in January 1968. 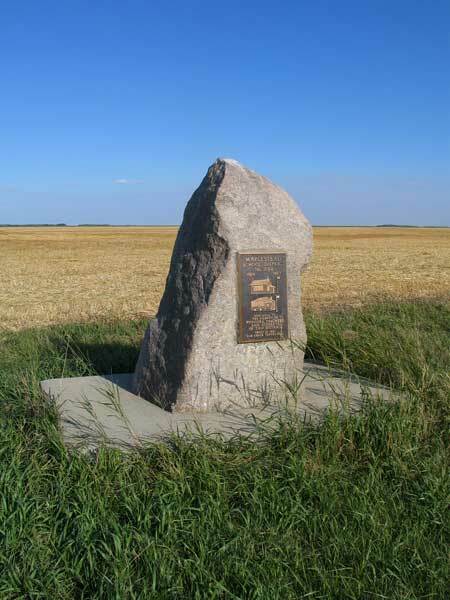 The monument was erected in 1992, for the Elm Creek centennial year, and dedicated to the pioneers, teachers, and students of Maplestead School. The teachers of Maplestead School were Miss Semple, Miss E. Kirley, Miss Vilbory Eyolfson, Margaret Dickie, Vivian Durden, Miss Foster, Miss McKenty, Myrtle Davidson (1909), M. Edith Tighe (1909), Charles [Peake?] Geake (1910), Annie E. Canavan (1910), Annie I. Setter (1911-1912), Carrie B. McCall (1912), Anna Johnston (1912), H. Thornton (1912), Olive L. Mills (1913), Agnes Lee (1913), M. Ethel Mountain (1914-1915, 1916), Lola L. Alguire (1915-1916), Teresa F. O'Neail (1916), Margaret K. Marr (1917-1919), Marjorie Moffat (1919), Mary L. Lamont (1919), Margaret Marr (1920-1921), M. Edith Palmer (1921-1923), Mabel J. Kellington (1923), Reta Hipwell (1924), Gudrun A. Marteinsson (1924-1925), C. B. Doughty (1925-1926), L. A. McCulloch (1926), Charlotte D. MacQuarrie (1926-1927), J. Ensworth Morison (1927-1928), Vilborg C. Eyolfson (1929), Constance Grace Franzmann (1929-1932), Madeline Edith Franzmann (1932-1938), Marie Valentine Larson (1938-1939), Irene Merle Bell (1939-1940), Dorothy Elena Grammer Moran (1940-1942), Genevieve Zrudlo (1942-1943), Eda Jean Stanton (1943-1944, 1945-1946), Eugene Dennis LaTour (1944-1945), Joyce Mae Bullied (1946-1947), Eleanor Joyce Andrews (1947-1949), Doris Lorraine Hamelin (1949-1950), Mary Neufeld (1950-1951), Lois Rose Dureau (1951-1952), Arlene Nancy Newman (1952-1953), Josephine Lorraine Simm (1953-1955), Susan Toews (1955-1956), Donald Clifford “Don” Woods (1956-1958), Betty Marguerite Armstrong (1958-1959), Ellen Jeannette Davis (1959-1960), Donna Patricia Orpin (1960-1961), Marilyn Elizabeth Tencha (1961-1962), Geraldine Mary Swain (1962-1963), and Eleanor Joyce Fruck (1963-1967). GR8461, A0233, C131-2, page 56. Manitoba School Records Collection, Maplestead School District No. 1090 Daily Registers, GR2085, Archives of Manitoba. Manitoba School Records Collection, Elma School District No. 1090 Daily Registers, GR2085, Archives of Manitoba.